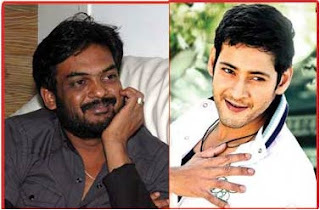 Superstar Prince Mahesh Babu and Puri Jagannath are teaming up to recreate the magic of Pokiri with their new film ‘The Businessman’. The movie is currently being shot in Mumbai and the schedule will go on in Mumbai, Hyderabad and a few other foreign locations without a break till December 5th. Puri Jagannath is confident of wrapping up the movie by then and the plan is to release it for the Sankranthi holiday season. The tentative date is January 12th. Kajal is pairing up with Mahesh Babu for this movie and Thaman is scoring the music. ‘The Businessman’ has generated a lot of interest with its unique title and caption. The movie will be a record of sorts for Mahesh Babu if the movie releases on January 12th. The movie will reportedly show Mahesh Babu in a new and stylish way. Prakash Raj, Nazar, Shayaji Shinde, Dharmavarapu, Brahmaji and a few others are essaying important roles in the movie.